Filters compatible with Astral Terra, along with many other brands, are available for our customers on the Filters Fast website. Filters compatible with Astral Terra, along with many other brands, are available for our customers on the Filters Fast website. Astral Terra offers exceptional pool and spa water filtration and purification products. 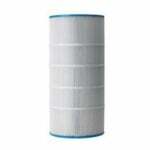 The Astral-Terra 18112RO100 Comp Pool Filter Cartridge purifies swimming pool and spa water through the use of 100 square feet of media. This compatible Astral filter measures 8 15/16" x 19 1/4" with 3 3/4" Open top & bottom holes. The Astral-Terra 18220RO100 Comp Pool Filter Cartridgepurifies swimming pool and spa water through the use of 150 square feet of media. This compatible Astral filter measures 8 15/16" x 24" with 3 3/4" Open top & bottom holes.